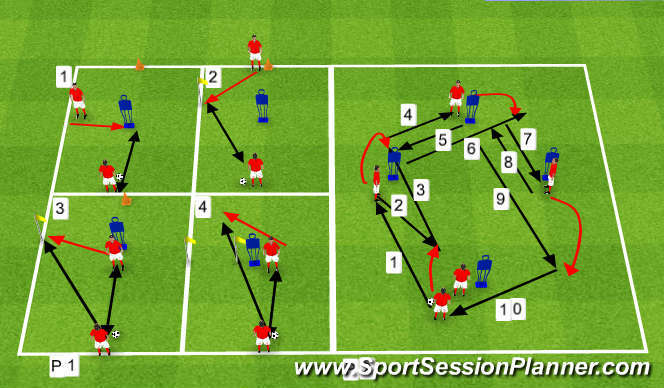 4 stations, different setting and receiving combinations, rotate players.4 mins on each station. The practice starts where the ball is located. Different angles of receiving and direction of the first touch. Shooting across the goal.Follow pass and rotate. 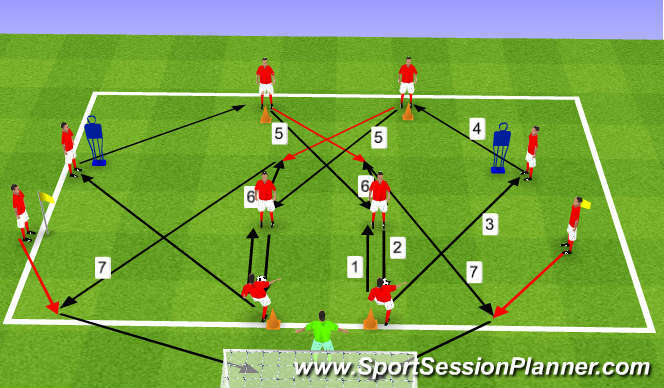 To score the players must get from one side to the other, the reds must play one pass before it can go back into the middle zone. If the yellow defenders intercept then they play to coaches for a goal. 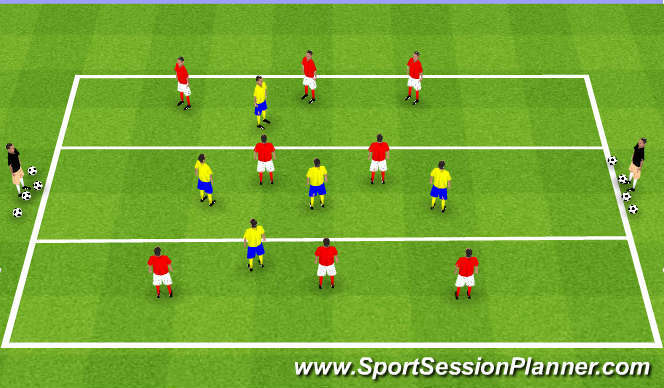 Coach the midfield to get on the half-turn, movement off the ball when in possession. 4 support players on the outside, 4 v 4 in the middle. The players can shoot at any goal except at the keper that has just distributed the ball. Looking for angles of receiving and body position to create goal-scoring opportunities and do things quickly, be ruthless with the finish.